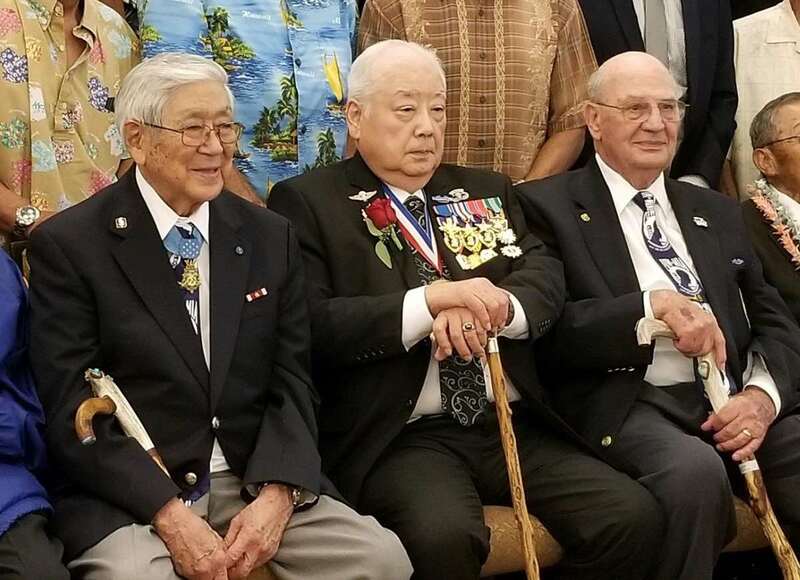 Joseph Lawrence Annello of Castle Rock, Colo., a Korean War veteran known for his lifelong friendship with Medal of Honor recipient Hiroshi “Hershey” Miyamura, passed away on Nov. 8 at the age of 85. In the spring of 1951, after a brutal winter in the Chosin Reservoir, all was finally quiet along the Kansas Line – the line that separated Chinese forces from U.N. forces near the 38th Parallel. Just before midnight on April 24, Chinese soldiers stormed a U.S. camp in never-ending waves. Outgunned and outmanned, the U.S. forces fought until they had no choice but to withdraw. Those who could not escape were taken prisoner. Among those American soldiers captured by the Chinese were best friends Miyamura, a Nisei from Gallup, N.M., and Annello. During the attack, Miyamura heroically fought, allowing his squad to safely withdraw as he and Annello were taken prisoner. Miyamura suffered painful wounds, but none so bad as Annello – the blast from a grenade had injured his spine and he was unable to walk. For miles, Miyamura carried Annello as they marched until the Chinese soldiers forced Miyamura at gunpoint to leave Annello on the side of the road to die. There, they said what they thought was a final goodbye. Annello was picked up by another Chinese unit and taken to a different camp from Miyamura. Along with other wounded prisoners, Annello was able to escape and was rescued by American troops. He received the Silver Star and the Purple Heart. 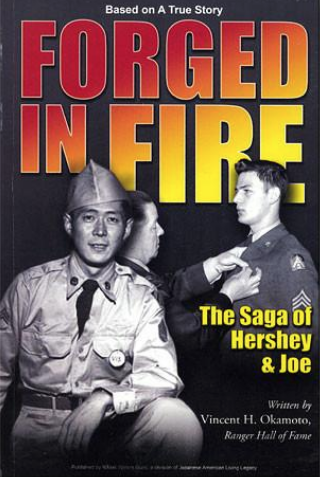 Miyamura, after 28 months in captivity, was released in 1953 and received the Medal of Honor from President Dwight Eisenhower at the White House. Annello, who thought that Miyamura had died, was astonished to see his photo in a magazine. Miyamura was in turn shocked when Annello went to Gallup to see him. For decades, they made joint appearances at several events, including Nisei Week in Los Angeles, and also traveled back to Korea together. The 2018 National Memorial Day Concert in Washington, D.C. honored their friendship, endurance and heroism through horrific ordeals. Born on May 4, 1933, Annello enlisted in the Army in April 1950, and continued his military service through to the Vietnam War, retiring in August 1970. After he enlisted, and upon arrival to Japan, Annello trained Korean civilians to be soldiers. He had more Korean soldiers in his unit than American soldiers. After the Korean War, he re-enlisted and spent a year at a Japanese language school learning to read and write Japanese, and learning Japanese military tactics. During one of his four tours of duty in Korea, he met and married his wife, Joan. Annello continued to further his education by attending the University of Massachusetts and studying civil engineering and business administration. An advocate for the benefit and power of an education, he visited schools and discussed education as the key to advancement in all facets of one’s life. Services were held on Nov. 21 at Saint Francis of Assisi Catholic Church in Castle Rock. Burial was at Fort Logan National Cemetery in Denver.